The TFT HiFiDuino Chronicles: 21 months in the making.. 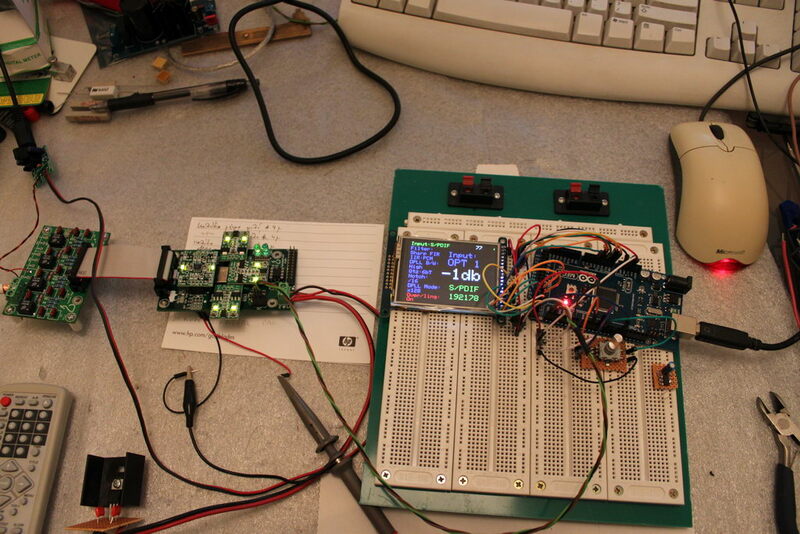 Since the very beginning of my Buffalo III project, I had decided that I would use an Arduino to perform all of the control functions (source selection, volume control, setting of parameters, etc.). The date was March 3, 2012. On that day I started a thread at avclub.gr announcing my Buffalo controller. 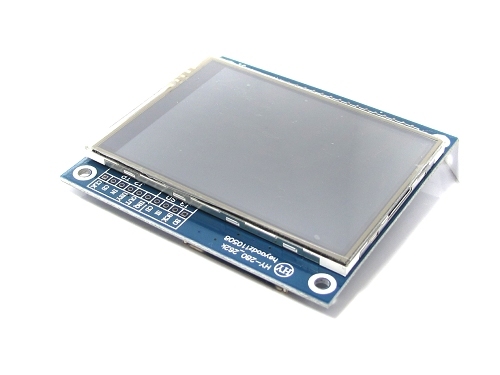 At $20 the price was right, but it was not compatible with Adafruit’s display library so I searched for a compatible library. I came across Harl Henning’s UTFT library which appeared to be exactly what I needed. It was compatible with a large number of TFTs, including the ones that I had on hand. 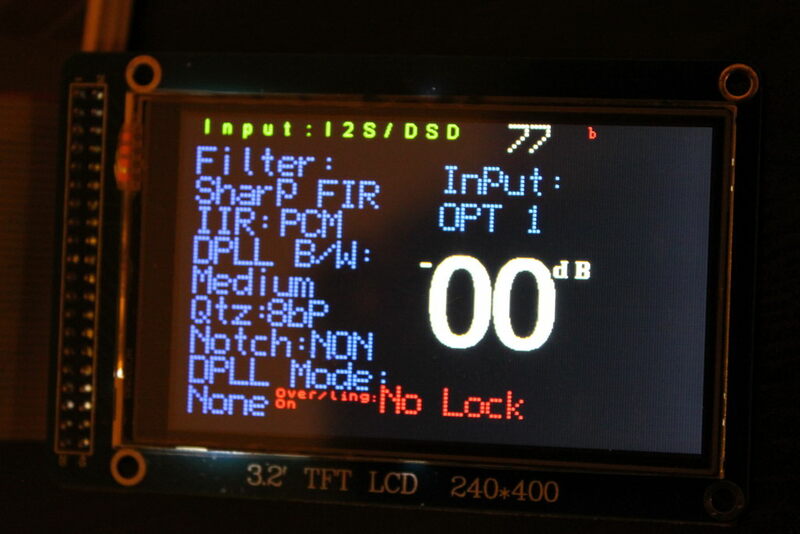 I took care of some signalling issues (the new TFT needed 3.3V signalling but the Arduino Mega is 5V) and proceeded to adapting the code to the UTFT library. 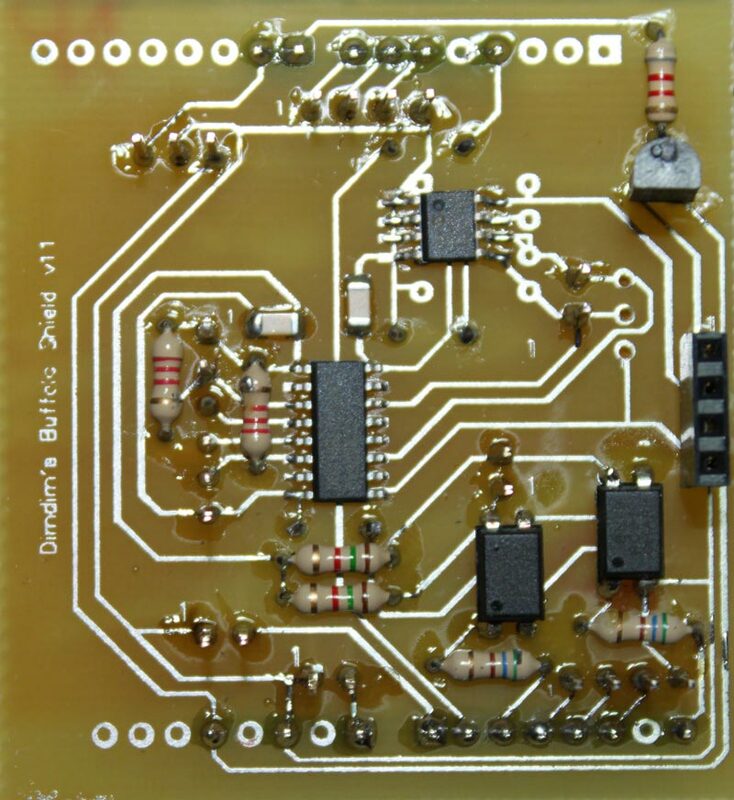 At that time I discovered that HiFiDuino had also just discovered the UTFT library and was planning to use it as well. That was a nice surprise. 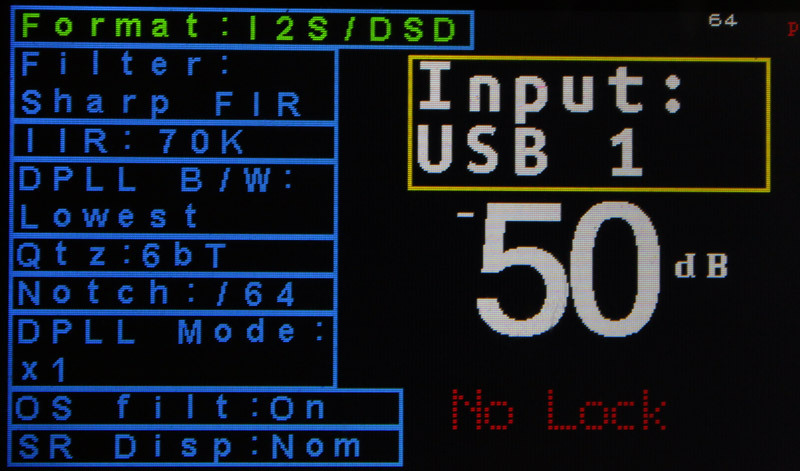 He had got a hold of a 3.2″ 400×240 TFT which was also available on Ebay so I also ordered one and decided to standardize on that. The date was April 15, 2012. It was Easter. 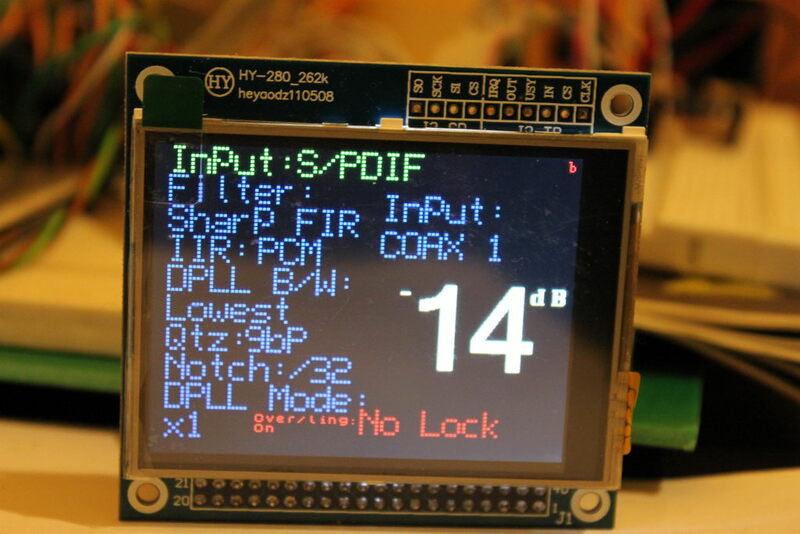 By the end of April the 3.2″ TFT had arrived and I confirmed that it worked. This is what it looked like with no code changes (they would be necessary since I wanted to make use of the total screen real estate). At that time the weather got pretty warm so I froze all DIY activities for the summer. The DAC was not really finished but it was functional at the time so I was in no rush. It was not until late November that I resumed the project. The new Arduino Due was becoming available in stores and I was anxious to see whether the improvement in speed would actually translate to real world improvement in Buffalo response times. Before the end of November I had received the Due. 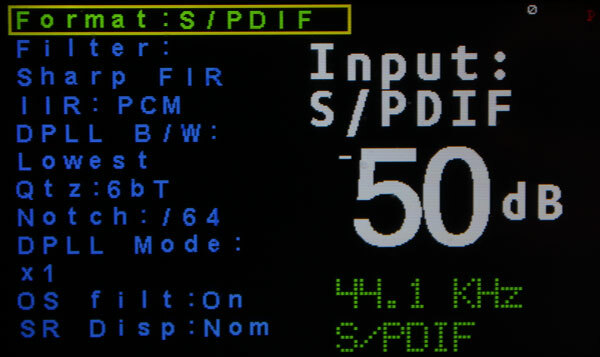 Since the Due was built using 3.3V logic, it was now easier to interface with the 3.2″ TFT and also the I2C lines would no longer need level change to the 3.3V that the Buffalo liked. 1) The UTFT library was not compatible with the Due. 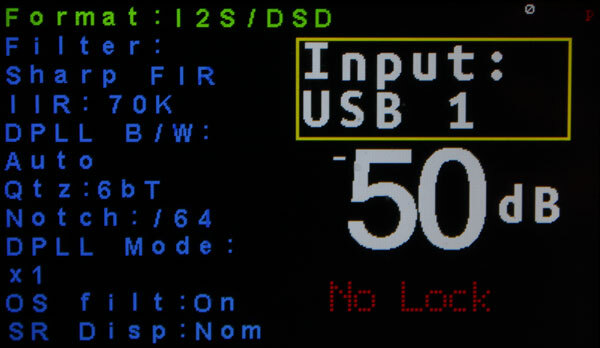 2) The Due did not have any on-board EEPROM so I could not save my code settings. 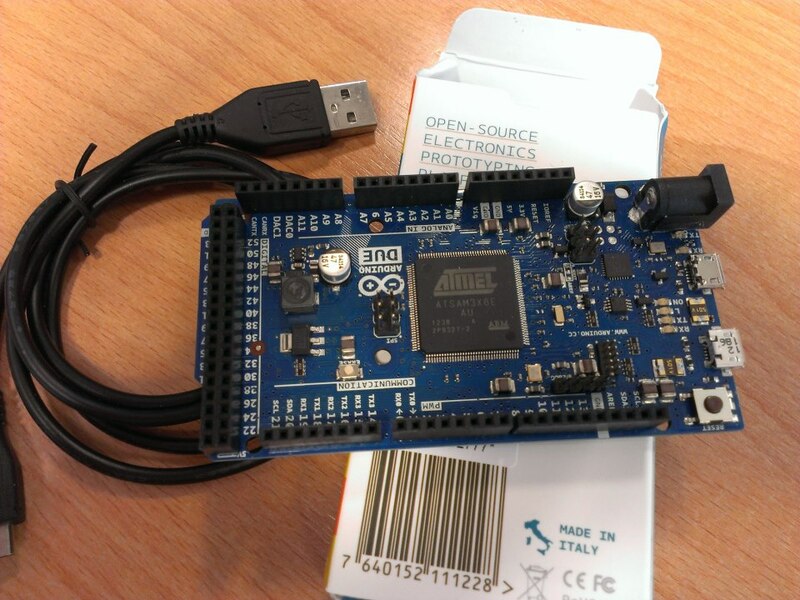 The first problem was solved 10 days later when a couple of lovely people at arduino.cc took it upon themselves to make changes to the UTFT library so as to support the Due. The hacked version of the library worked like a charm. I was very impressed with how little time it took these guys to adapt the library. 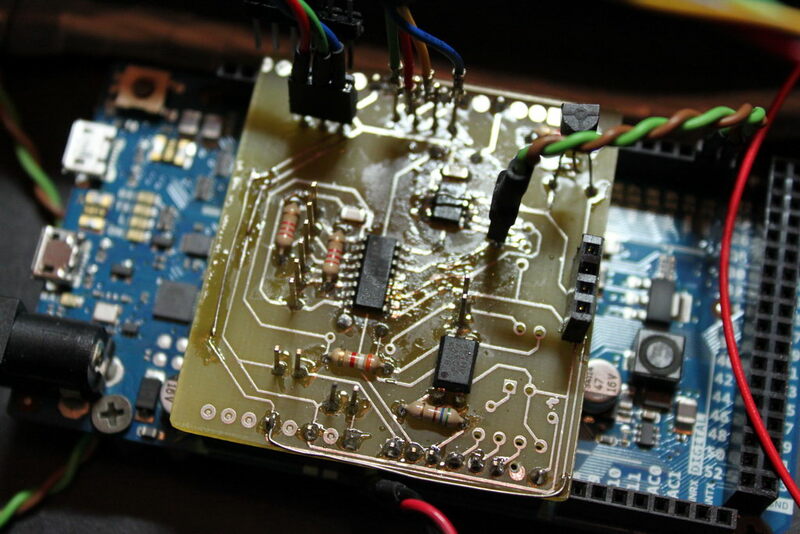 The second problem I tackled on my own, by adding a 24LC256 EEPROM chip to the design and adapting the code. This is when I first came up with the idea of designing a custom shield for the controller. It would accommodate the 24LC256 as well as the necessary parts for electrical isolation between the Arduino and the Buffalo. By the end of February I had proceeded with polishing the code and had a rough draft of the shield. At that time, once again, the weather got too good for DIY so I suspended the project until September. I proceeded to release the actual code and schematics for the shield on September 3 & 7 respectively, as well as some basic instructions on building it. And that’s it so far. 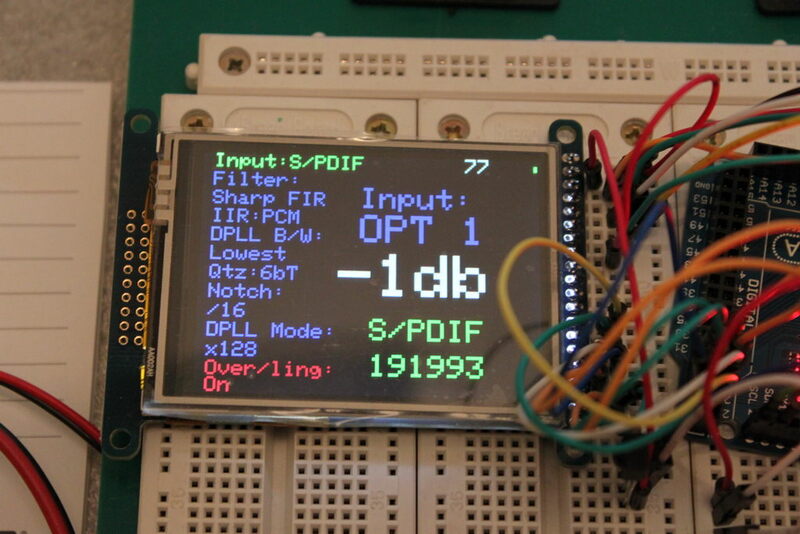 This entry was posted in Arduino, DIY Audio, TFT Hifiduino (code), TFT Hifiduino (shield) by Dimdim. Bookmark the permalink.